We look at how connecting digitally can stop you connecting in real life. Trying to connect digitally however can be counterproductive. Here are some examples of how updating your status can be detrimental to your real life relationships. Social media has become an easy way for us to share moments. While this is wonderful, if you spend the entire moment focusing on documenting it, refining it and uploading it online, you can easily lose it. Instead of enjoying the moment for what it is, you may become overly attached to positive reinforcement through likes and comments. We tend to be happiest when our minds are focused on the present, so try to savour the experience. Immerse yourself fully in it; this enhances the experience and the happiness you gain from it. Our brains respond positively to novelty – something social media provides, with endless streams of new content, interactions and updates. This can lead us to seek pleasure here instead of through the people around us. While social media aims to make us more connected, it can have the opposite effect when we become too attached to it. We can be left wondering why our posts aren’t receiving positive reactions, leading us to think about ourselves (and the online portrayal of ourselves) too much. Try to limit the number of times you check your social media sites and if you feel yourself worrying about your posts too much, consider taking a break. 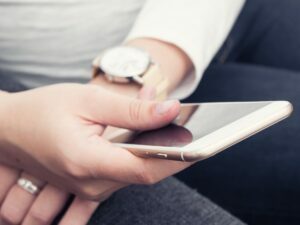 One study has shown that just the presence of a mobile phone when two people are talking interferes with feelings of connection, closeness and communication. The reasoning behind this is because we are fine-tuned to understand people by recognising and internalising subtle changes in their faces and body language. When a device is present, we are less aware of these changes and can miss social cues. What is meant to connect us becomes a barrier. When talking to your partner, friends or family members, try to instill a no-technology rule. This ensures all parties are ‘all there’. If your relationships are under strain, counselling may help. Find out more on our relationship issues page.